Sewell is pleased to offer you one of our new, limited use Loan Cars for purchase. This vehicle was driven by a Sewell service customer and has been fully maintained by our service department. As an untitled new car, this vehicle is eligible for all for all manufacturer rebates and incentives which are included in the advertised price. Please remember we have a limited quantity of Loan Cars available. Special pricing includes $4,250 GMC rebate, $1,164 GMC Conquest Bonus Cash for current owners or lessees of a 2005 or newer non-GM passenger vehicle and $2,682 Sewell discount. Not compatible with special finance, lease and some other offers. This offer is valid through 4/30/2019. Applies to stock number 5029470. Sewell is pleased to offer you one of our new, limited use Loan Cars for purchase. This vehicle was driven by a Sewell service customer and has been fully maintained by our service department. As an untitled new car, this vehicle is eligible for all for all manufacturer rebates and incentives which are included in the advertised price. Please remember we have a limited quantity of Loan Cars available. Special pricing includes $4,250 GMC rebate, $1,180 GMC Conquest Bonus Cash for current owners or lessees of a 2005 or newer non-GM passenger vehicle and $2,570 Sewell discount. Not compatible with special finance, lease and some other offers. This offer is valid through 4/30/2019. Applies to stock number 5026177. Please contact us to learn more about this exceptional offer. This vehicle is eligible for all manufacturer rebates and incentives which are included in the advertised price. Special pricing includes $3,094 GMC rebate, $1,077 Supplier Pricing for Everyone discount, $1,192 GMC Conquest Bonus Cash for current owners or lessees of a 2005 or newer non-GM passenger vehicle and $528 Sewell discount. Not compatible with special finance, lease and some other offers. This offer is valid through 4/30/2019. Please contact us to learn more about this exceptional offer. This vehicle is eligible for all manufacturer rebates and incentives which are included in the advertised price. 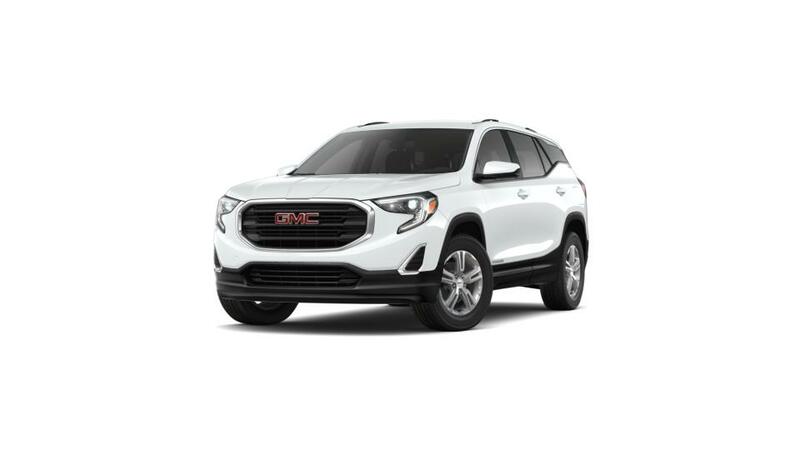 Special pricing includes $3,138 GMC rebate, $1,156 Supplier Pricing for Everyone discount, $1,227 GMC Conquest Bonus Cash for current owners or lessees of a 2005 or newer non-GM passenger vehicle and $350 Sewell discount. Not compatible with special finance, lease and some other offers. This offer is valid through 4/30/2019. Applies to stock number WPZMXV. Please contact us to learn more about this exceptional offer. This vehicle is eligible for all manufacturer rebates and incentives which are included in the advertised price. Special pricing includes $3,215 GMC rebate, $1,294 Supplier Pricing for Everyone discount, $1,288 GMC Conquest Bonus Cash for current owners or lessees of a 2005 or newer non-GM passenger vehicle and $409 Sewell discount. Not compatible with special finance, lease and some other offers. This offer is valid through 4/30/2019. Applies to stock number 5040941. Sewell is pleased to offer you one of our new, limited use Company Cars for purchase. This vehicle was driven by a Sewell associate and has been fully maintained by our service department. As an untitled new car, this vehicle is eligible for all manufacturer rebates and incentives which are included in the advertised price. Please remember we have a limited quantity of Company Cars available. Special pricing includes $3,412 GMC rebate, $1,371 Supplier Pricing for Everyone discount, $1,366 GMC Conquest Bonus Cash for current owners or lessees of a 2005 or newer non-GM passenger vehicle and $1,512 Sewell discount. Not compatible with special finance, lease and some other offers. This offer is valid through 4/30/2019. Applies to stock number 5030277. Sewell is pleased to offer you one of our new, limited use Loan Cars for purchase. This vehicle was driven by a Sewell service customer and has been fully maintained by our service department. As an untitled new car, this vehicle is eligible for all for all manufacturer rebates and incentives which are included in the advertised price. Please remember we have a limited quantity of Loan Cars available. Special pricing includes $4,000 GMC rebate, $1,422 GMC Conquest Bonus Cash for current owners or lessees of a 2005 or newer non-GM passenger vehicle and $3,250 Sewell discount. Not compatible with special finance, lease and some other offers. This offer is valid through 4/30/2019. Applies to stock number 5029095. Sewell is pleased to offer you one of our new, limited use Loan Cars for purchase. This vehicle was driven by a Sewell service customer and has been fully maintained by our service department. As an untitled new car, this vehicle is eligible for all for all manufacturer rebates and incentives which are included in the advertised price. Please remember we have a limited quantity of Loan Cars available. Special pricing includes $4,000 GMC rebate, $1,499 GMC Conquest Bonus Cash for current owners or lessees of a 2005 or newer non-GM passenger vehicle and $3,987 Sewell discount. Not compatible with special finance, lease and some other offers. This offer is valid through 4/30/2019. Applies to stock number 5026414. Please contact us to learn more about this exceptional offer. This vehicle is eligible for all manufacturer rebates and incentives which are included in the advertised price. Special pricing includes $3,582 GMC rebate, $1,627 Supplier Pricing for Everyone discount, $1,488 GMC Conquest Bonus Cash for current owners or lessees of a 2005 or newer non-GM passenger vehicle and $511 Sewell discount. Not compatible with special finance, lease and some other offers. This offer is valid through 4/30/2019. Applies to stock number WTMM6T. Sewell is pleased to offer you one of our new, limited use Loan Cars for purchase. This vehicle was driven by a Sewell service customer and has been fully maintained by our service department. As an untitled new car, this vehicle is eligible for all for all manufacturer rebates and incentives which are included in the advertised price. Please remember we have a limited quantity of Loan Cars available. Special pricing includes $4,000 GMC rebate, $1,700 GMC Conquest Bonus Cash for current owners or lessees of a 2005 or newer non-GM passenger vehicle and $3,791 Sewell discount. Not compatible with special finance, lease and some other offers. This offer is valid through 4/30/2019. Applies to stock number 5024594. Sewell is pleased to offer you one of our new, limited use Loan Cars for purchase. This vehicle was driven by a Sewell service customer and has been fully maintained by our service department. As an untitled new car, this vehicle is eligible for all for all manufacturer rebates and incentives which are included in the advertised price. Please remember we have a limited quantity of Loan Cars available. Special pricing includes $4,000 GMC rebate, $1,708 GMC Conquest Bonus Cash for current owners or lessees of a 2005 or newer non-GM passenger vehicle and $3,498 Sewell discount. Not compatible with special finance, lease and some other offers. This offer is valid through 4/30/2019. Applies to stock number 5032042. Sewell is pleased to offer you one of our new, limited use Loan Cars for purchase. This vehicle was driven by a Sewell service customer and has been fully maintained by our service department. As an untitled new car, this vehicle is eligible for all for all manufacturer rebates and incentives which are included in the advertised price. Please remember we have a limited quantity of Loan Cars available. Special pricing includes $4,000 GMC rebate, $1,715 GMC Conquest Bonus Cash for current owners or lessees of a 2005 or newer non-GM passenger vehicle and $3,250 Sewell discount. Not compatible with special finance, lease and some other offers. This offer is valid through 4/30/2019. Applies to stock number 5029159. Please contact us to learn more about this exceptional offer. This vehicle is eligible for all manufacturer rebates and incentives which are included in the advertised price. 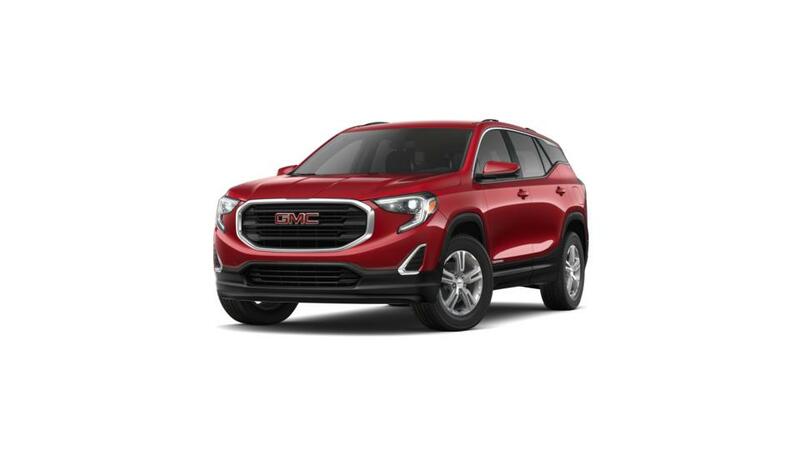 Special pricing includes $4,147 GMC rebate, $1,832 Supplier Pricing for Everyone discount, $1,708 GMC Conquest Bonus Cash for current owners or lessees of a 2005 or newer non-GM passenger vehicle and $519 Sewell discount. Not compatible with special finance, lease and some other offers. This offer is valid through 4/30/2019. Please contact us to learn more about this exceptional offer. This vehicle is eligible for all manufacturer rebates and incentives which are included in the advertised price. Special pricing includes $4,172 GMC rebate, $1,876 Supplier Pricing for Everyone discount, $1,728 GMC Conquest Bonus Cash for current owners or lessees of a 2005 or newer non-GM passenger vehicle and $426 Sewell discount. Not compatible with special finance, lease and some other offers. This offer is valid through 4/30/2019. Applies to stock number 5044261.